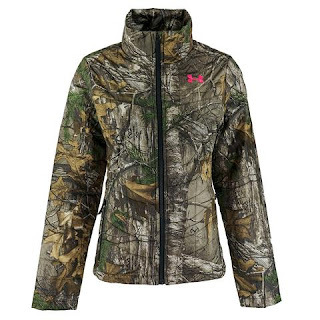 Right now you can get this Under Armour Women's Frost Puffer Jacket on sale for just $45 Shipped with the coupon code: PZY45 at checkout (Retail $149.99). The UA Frost Puffer jacket has a super-breathable DWR finish that repels repels rain and snow to keep you drier longer. Lightweight, water-resistant PrimaLoft Black insulation can easily be packed and without losing its loft and continue providing warmth once on. The slight drop hem gives you extra coverage without the added bulk to keep you light. This may sell out fast so hurry over HERE to get yours. Shipping is free. 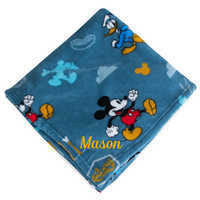 Disney Fleece Throws are priced at ONLY $12 right now, making for a great deal!!! 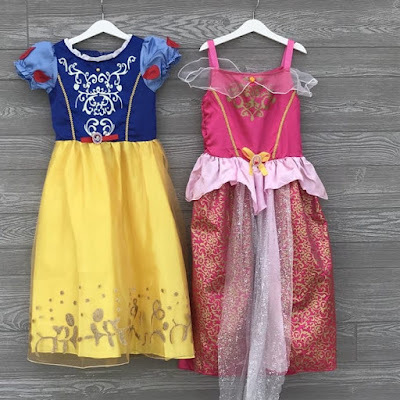 Head over to check out these Princess Play Dresses for ONLY $13.99 (Retail $39.99)! These princess dresses are high quality and will be your daughter's favorite dress! Bright fun colors and comfortable! 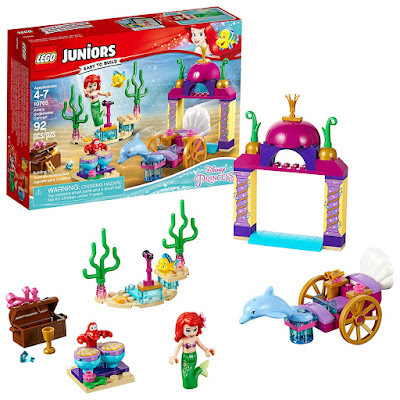 Right now you can get this LEGO Juniors Ariel's Underwater Concert 10765 Building Kit for ONLY $11.99 (Retail $18.99)! Attend LEGO Juniors 10765 Ariel's underwater concert with Disney princess Ariel and her friends! explore an underwater world in a carriage with starter brick element, archway, stage with microphone and stand, plus an opening treasure chest and a buildable drum set. This adorable Disney little mermaid play set includes a simple guide to build and play to help build confidence in younger children ages 4+. includes a mini-doll figure, plus fish, crab and dolphin figures. 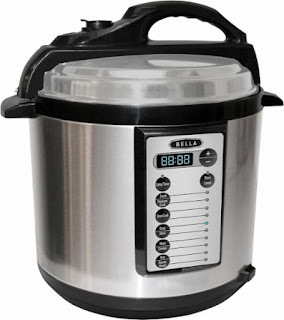 Today only get this Bella - 6-Quart Pressure Cooker for ONLY $39.99 (Retail $79.99)! 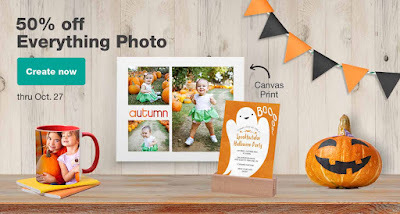 Head over to Walgreens Photo where right now you can save 50% OFF Everything Photo when you use code ALLFORFALL at checkout. 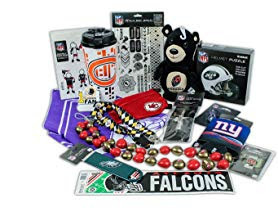 Choose in-store pick-up to save on shipping costs. 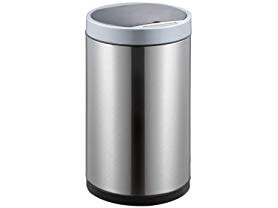 Today only at Woot.com this EKO Docomo Sensor Bin Stainless Steel Trash Can is just $32.99 (Reg. $70.00)! Give bedroom and bathroom trash cans a significant upgrade with the sleek and stylish round docomo sensor bin, a motion activated small 9 L trash can. The can is 13.6 inches high (20.75 lid open) and 9.84 inches in diameter. Because it's a sensor can, it sits flush against the wall, taking up less floor space than comparably sized trash cans. Stainless steel fingerprint resistant finish. 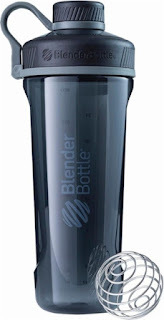 Includes a removable plastic liner with handle. May be used with or without plastic trash bags. Liner includes bag fixer to keep trash bags out of sight when trash can is closed. Offer valid 10/14 or while supplies last. 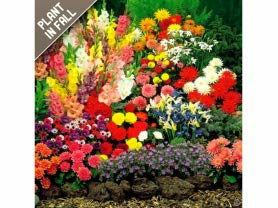 I am loving this Rock Garden Mixed Flower Collection (55-Bulbs) now just $13.99 (Reg. $59.99)! With a beautiful mix of pinks, purples, whites and blue, this rock garden collection will come alive with color. Including 15 Anemone Blanda, 10 Striped Squill, 15 Glory of the Snow, and 15 Dwarf Iris Reticula, this 55 pack of rock garden collection bulbs is sure to delight. The daisylike blooms on Anemone Blanda feature thin, silky petals that quickly disperse in the breeze after flowering. A color range of white, sky blue, pink and purple bloom early in the season before tulips open. Striped Squill burst into a sea of blue and white striped petals come spring, asking for little more than a half day of sun or dappled light under shrubs or trees. Also, an early bloomer, Glory-of-the-snow will quickly spread, creating layers under larger plants with patches of pink, white, or blue blooms. The starry, six-petaled blossoms stay in bloom for a few weeks. Plant glory-of-the-snow in the fall in any well-drained soil, and then sit back and wait for the show to begin. Iris reticulata bloom very early in the spring. The flower is quite large in compared to the plant as a whole, and has a wonderful fragrance.